The death of blogging has been predicted for many years. Social networks such as Facebook and MySpace provide easy to use multimedia publishing platforms to share your life’s experiences and insights with the world, that at first glance seemed to offer an alternative to blogging that would lead to its demise. Blogging isn’t dying it is just “evolving“. Blogging is becoming much more social and visual and is indeed becoming a “publishing genre” in its own right. 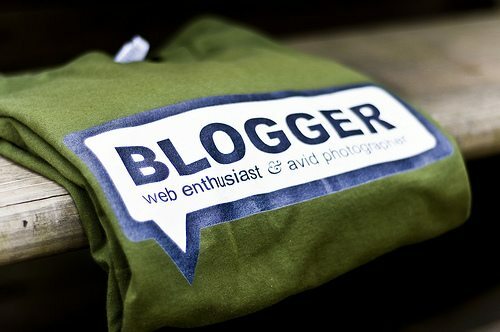 Some will blog about their daily life and experiences – the casual personal blogger. Blogging platforms such as Tumblr.com or Blogger.com make it quick and easy for the personal blogger to get up and running. Facebook or Google+ is also an option for this type of blogger. Creating a “page” on Google+ or Facebook (as opposed to just a personal profile) is maybe all they need. Business blogging is about spreading the brands influence, creating leads and increasing sales. Hubspot provides a fine example of what can be done in this segment. The benefits here also include improving search engine optimisation, positioning the company as a thought leader and expert in its market place and industry. The fear of your thoughts and writing being exposed on a global scale on the web is daunting for many but there is just one solution to the “getting started” problem. For me just starting the journey without overcomplicating it was the most important step, when I had an inkling of what I was passionate about. We all have different goals and expectations and whatever blogging journey you are on or want to commence, you need to remind yourself thay the more you put into it, the more you will get out of it. If you are a bit unsure “just start” – the road will become clearer and the path brighter and you will discover more about yourself and others. Some of us are afraid of revealing yourself to the world and an audience. Remember – “Fortune favours the brave”. Once I started, I discovered what was important and what wasn’t. You need to understand who your audience is. What are their problems, what words they use, what books and magazines do they read, what media do they prefer (videos, articles and images) so you can communicate. We are all different and some people prefer to read an article.and others prefer to watch a video. To appeal to the widest possible audience be prepared to mix it up and create content in all the formats that your time and resources allow. It could be a YouTube video, a Slideshare presentation or a blog post, an ebook or a whitepaper. Infographics that present complex data are also attractive for your readers and viewers. When your readers turn up to your post there is nothing more daunting than a huge unbroken block of text that hides the key points. Diagrams and screen shots that gets your message across fast in the simplest way possible. Make it easy to consume and read. Collaboration is vital in any endeavour and enlisting others is crucial. You can start by tweeting and sharing other peoples content and you will find in return they will share your posts to their networks. Ask experts to provide a guest post or ask to provide a guest post for them. Find experts who have a reader base that you want and offer to promote them. You need to give to receive! There is an ocean of content and a sea of blogs (over 150 million). In all this mix we are still on a web that is driven not just by Facebook but by Google and other search engines. Optimize your blog so that Google can index your blog so that you rank higher in search engine results. Social media channels that you own also need to have a title, description, categories and keyword tags. Don’t make it hard for people to subscribe to your blog either by email, RSS or any of your social media networks such as Facebook ,Twitter and Google+. Provide buttons or subscribe functions that make it easy for people to follow you in the format they prefer. I see many blogs that do not have a retweet button or Facebook share or Like button. If that is the case on your blog then you are missing out on a lot of traffic and visibility. If you want your content and brand to spread make it easy for people to tweet to their networks and share to their Facebook friends. We live in a fast changing world and trends come and go. You will need to keep an eye on what is resonating with your readers and viewers. Try some different type of content and keep your ear to the ground. You will need to continue to modify your content to meet changing media and subject types in your industry and market. Fail fast and often. In a world of print and high production costs it was expensive to fail and sometimes fatal to your bank account. In a digital world with zero costs of distribution and low production costs, you can afford to experiment and fail fast and cheaply. Try different ideas, features and functions so that you can see what works and doesn’t. As with any endeavour you will not build something of substance overnight. Social networks allow you to scale globally with speed, virality and reach that is unprecedented with traditional media. Patience and persistence is still a trait that must be nourished. It may seem at times that nothing is happening but if you continue to learn and apply the basic principles you will be surprised by the results and opportunities that show up. Blogging can be an adventure and opportunity to change your life and enhance your business. It provides a forum and platform for you to build a global tribe that you can empower to share your ideas, personal brand and knowledge. It can position you as a thought leader and an expert in your niche. The social web with its “many to many” networks has supercharged content production and its distribution and is the biggest change to magazines, books and publishing since the Gutenberg press over 500 years ago. Are you ready to grab the opportunity and maybe change your life?